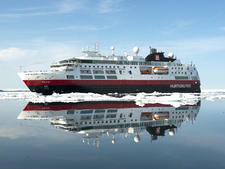 MS Fridtjof Nansen is the second of Hurtigruten’s new hybrid powered expedition ships. It does not have a launch date. 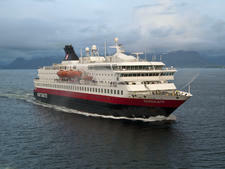 The first is MS Roald Amundsen, which is due to launch in May 2019. 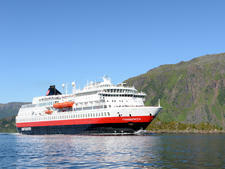 The ships herald a greener, more sustainable form of cruising and are a first for the industry. 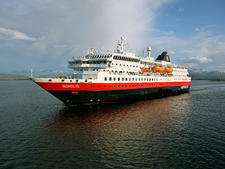 Currently under construction at Kleven Yard in Norway, MS Fridtjof Nansen will carry 530 passengers in 265 cabins. 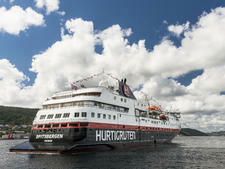 With its hybrid engines, Hurtigruten hopes the ship will reduce fuel consumption by about 20 percent, and will be able to sail with solely electric propulsion for up to 30 minutes, to allow for silent cruising in areas passengers might want to hear icebergs calving or whales spouting. 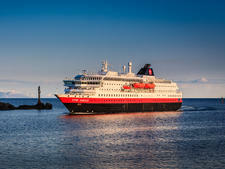 The ship will also have an extra backup engine and 100 percent redundancy on all essential systems. 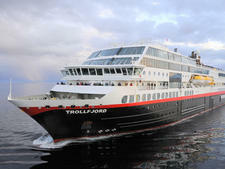 The ship’s standout feature will be the two-level indoor/outdoor Observation Deck wrapped around the top of its bow. In the area behind it – instead of a traditional cruise ship theater -- you’ll find the core of the onboard experience: the Nansen Science Center. 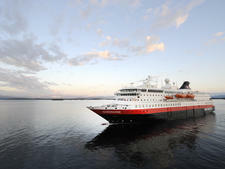 The center will boast state of the art technology and high tech gadgets such as touch screens and science equipment, and Hurtigruten hopes it will be a place where passengers and staff/crew meet, mingle and create a deeper understanding for the areas they explore. The venue will also feature lecture spaces, a small library, and specialty areas for workshops in photography, biology, and more. 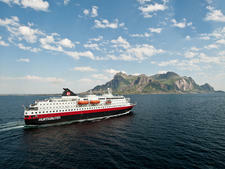 It will also be the onboard HQ for Hurtigruten’s Expedition Team. Passengers can also enjoy the scenery and drinks through the panoramic windows on the forward-facing Explorer Lounge on deck 10. 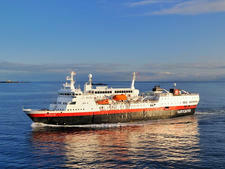 Inside expect Scandinavian chic, with materials such as granite, oak, birch and wool used in cabins and public areas. All cabins are outside, and half will have private balconies; aft suites will feature private outdoor Jacuzzis with spectacular views. 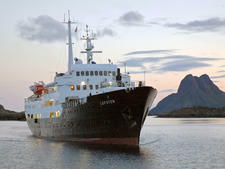 Lindstrøm, a specialty restaurant named after Adolf Lindstrøm, the favorite chef of the Norwegian polar heroes. 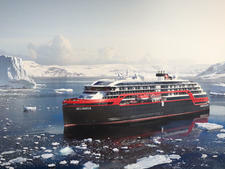 Both MS Roald Amundsen and MS Fridtjof Nansen will feature a variety of custom built expedition equipment, including a fleet of Blueye underwater drones which passengers can use to explore underwater; kayaks and large inflatable Zodiacs. 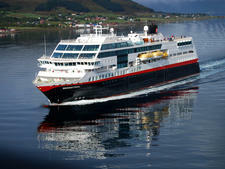 The ship will also have Wellness area, a panoramic sauna, a gym, or the pool deck featuring an infinity pool, jacuzzis and a pool bar. 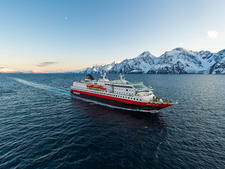 Itineraries will include 11 to 21 days Antarctica voyages, as well as Arctic voyages.